Attention resident students! 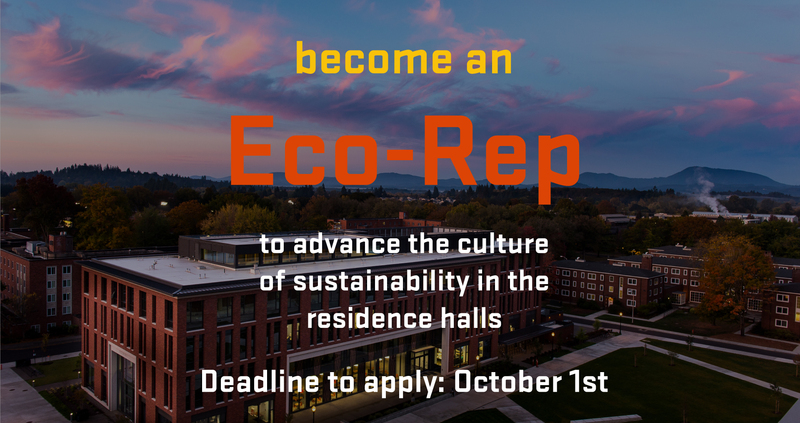 Want to get paid for doing sustainability outreach and education in your residence hall? This is a one of a kind employment opportunity! Prior experience great, but not required. 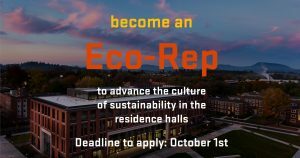 University Housing & Dining Services, Campus Recycling, the Student Sustainability Initiative and the OSU Sustainability Office are currently recruiting this year’s Eco-Reps. Eco-Reps are paid student employees who deliver sustainability programming to the residence hall in which they live, so it is only available to students living on campus. Tasks center on sustainability outreach and education, as well as running composting programs. This is a great, entry level job for those interested in sustainability! Each year we hear from past cohort members how they have stayed engaged on campus, and gone on to successfully get other jobs in their feel. Applications are due Oct.1 and all the details on how to apply are here. You can check the FY17 Program Summary for results from last year and prior. And please help spread the word!